OY/ON6NB. 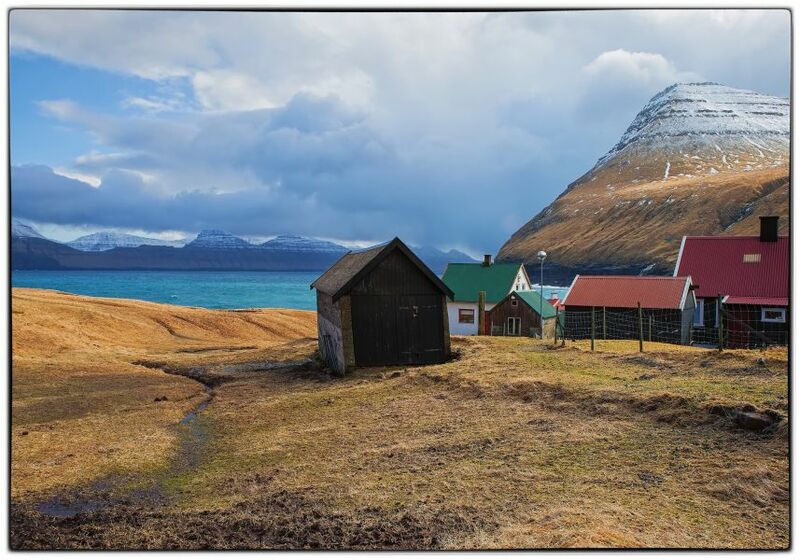 Radio Amateurs from Belguim, members of NB DX Team, will be active from Faroe Islands (IOTA EU-018) 15 - 21 September 2016 as OY/ON6NB. They will operate on 80 - 6m CW, SSB, RTTY, PSK. OY DXpedition, P.O. Box 17, Kenilworth, Warwickshire, England CV8 1SF, UK. Team - ON4ANN – ERIK ( TEAMLEADER AND SSB-OPERATOR), ON4ACP – PHILIPPE ( CW-OPERATOR ), ON4CCV – ERIK ( SSB – OPERATOR ), ON4CKM – CEDRIC ( SSB - OPERATOR ), ON5PDV – PAUL ( SSB – DIGITAL MODES – OPERATOR ), ON6MI – RUDI ( SSB - OPERATOR ), ETIENNE - ONL, ON4DTO - ANDRE (SSB-DIGI). According to some facts, Irish monks were the first settlers of Faroe Islands. Once there was the abbot St. Bernard who decided to set for a journey seeking for the Land of Saints in 565 AD. In one of his stories, he wrote about a land that he found when sailing far away from Scotland. That story boosted archeologists and researchers to explore some evidences letting us believe that monks were actually the first inhabitants of the islands. What is known for sure and well-documented is that columnists from Norway came here during the 9th century to build their first settlements. Moreover, according to some recent explorations, the Faroes appeared to be the center of all Viking territories during the Viking Age. They were the ones to establish the first islands’ government featuring its own parliament and local courts governed by the main court. Starting from the 1000s, the island was ruled by the Norwegian king. Those were the times when first Christians came to Faroes. Danish monarchs took the Norwegian king under control. The Royal Trade Monopoly was established in 1709. The main idea was to protect local merchants from pirate bands and competing traders from the overseas. From that time, the Faroes were ruled directly from Copenhagen. 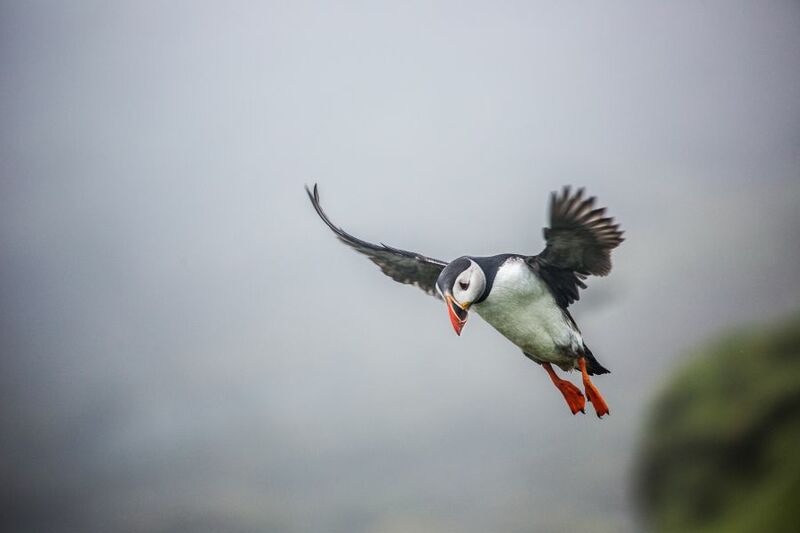 Puffin in Flight, Faroe Islands. Author - Lucien Muller. After pirates were no longer a threat for local businessmen and merchants, they started seeking for other connections outside the islands. It resulted in total Royal Trade Monopoly abolishment in 1856. It came up with more trading and business opportunities. New connections started developing rapidly. Moreover, locals gained a reputation of skillful and experienced sailors. They were also considered as the best anglers around the globe. It boosted the fishing industry greatly. It eventually appeared to be the main income source. Present days provide even more economic potential for the islands with oil production and other industries that are developing. Such popularity among businessmen and merchants results in the ideal location of the islands. The Faroes are situated on the same distance from Iceland and Norway. They compose a cluster consisting of 18 separate islands that cover a 545 square mile area. Though rather changeable, the weather here is perfect for maritime operations and sailing. Showers occasional happen here replaced by sunshine and mist combined with hill fog. In spite of high latitude, the winter temperature here is rather moderate. It does not let local harbors freeze. The Faroe Islands can boast unique nature. Formed of volcanic basalt, they host cozy and colorful villages and small towns that are compactly located along the seashore. High mountains rise above those settlements created a layered look due to dark crags and green fells. The islands’ basalt layers are believed to appear about 60 million years ago. Produced by huge volcanoes. They have several layers. Each layer represents a separate volcanic eruption or event. When the fog covers the islands, closets objects around you are the only things you are able to see. The territory can boast its unique flora featuring the islands national flower “marsh marigold”. It can be typically found in the wettest spots and ditches. The flora can differ from one island to another introducing new species and flowers that are affected by the climate greatly. As soon as you step off the asphalted path, you will be immersed in the freedom of local mountains. Winter brings dark nights replaced by long light days in summer. Faroe Islands. Author - Eileen Sandá. The territory is full of restaurants that introduce local authentic cuisine. Some of the cafes take part in a recently launched gastronomic initiative know as New Nordic Food. Gourmets will have a chance to try the most extraordinary combinations and mixtures of ingredients. 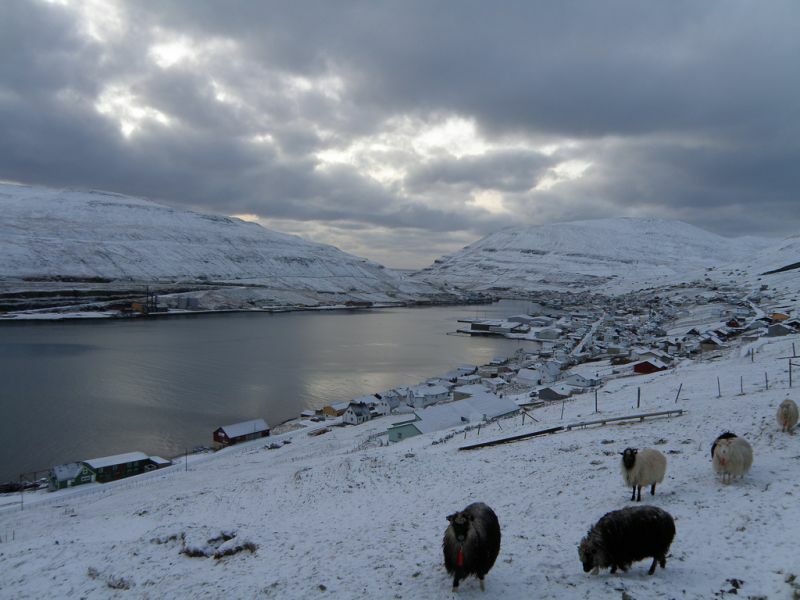 Local chefs get the inspiration from the Faroes nature and traditions. Traditional Faroes cuisine is based on meat, birds and fish. The first settlers ate the same food flowered with special herbs and salt to prolong the storage period and avoid any possible viruses and diseases. Local chefs traditionally serve different vegetables including potatoes and turnips as the most popular ones. Whenever you want to try the most delicious organic meat, the Faroes Islands are certainly the best destination featuring high-quality natural ingredients harvested on local green meadows. Beer lovers will appreciate a huge selection of local beers that is popular far beyond the border of the isles. Where Faroe Islands are located. Map.